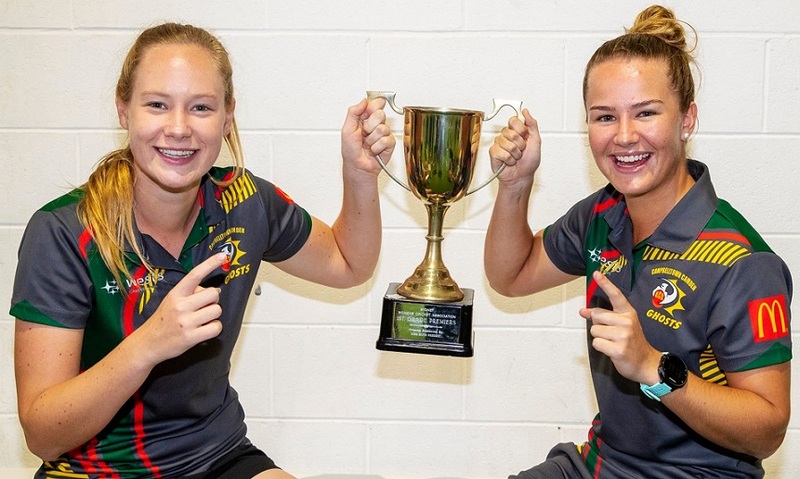 We’re number one: Ghosts star Lauren Cheatle and captain Hannah Trethewy celebrate their premiership win on Sunday. It’s been a long time between drinks, but they’ve finally done it! 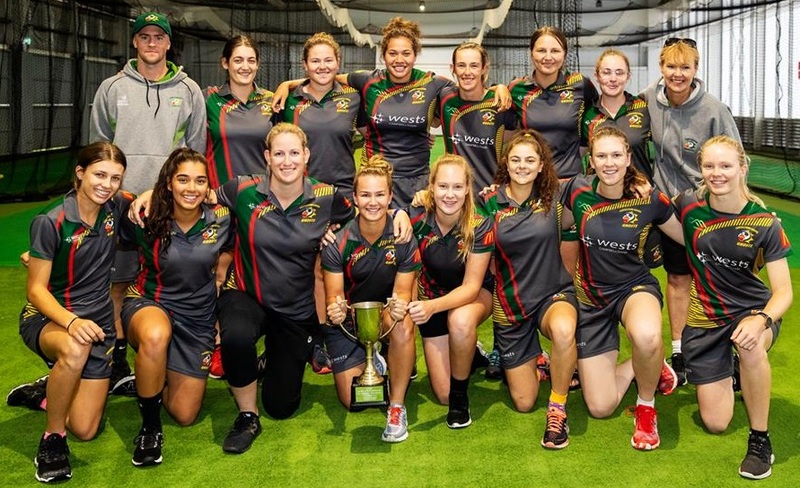 The Campbelltown Camden District cricket club first grade women’s team have won this year’s Cricket NSW premiership – the toughest women’s cricket competition in the world. It means there’s a 31 year gap with the last time the Ghosts women claimed this premiership, in the 1987-88 season. And while they claimed the prestigious title without a ball being bowled in anger in the final against Gordon because of inclement weather, there’s no doubt the Ghosts have been the best team all season. They lost just the one game the entire season, while several members of the squad juggled busy representative commitments on a weekly basis. Throughout the summer five Ghosts players were selected in women’s national cricket league state squads, six were involved in WBBL franchises and five of the younger players represented NSW in age group national championships. Lauren Cheatle, Belinda Vakarewa and Hannah Darlington also represented Australia during the season. Speaking at the trophy presentation, coach James Broadbent confessed that he had an amazing squad at his disposal. “All of them have played serious representative cricket,” he said. “They are disciplined, they train well and manage their loads and routines responsibly. “These players are outstanding role models for any young female athlete”. Captain Hannah Trethewy, who accepted the trophy on behalf of the team, heaped praise on the support she had from the senior players. “It has been really exciting to lead such a young team to victory,’’ she said. Highlights of the season included Claire Koski’s phenomenal batting averaging of 121 runs, record breaking partnerships and outstanding bowling performances, with five Ghosts finishing in the competition’s top 15 and three batters featuring in the top 11 for the season.